Methane is a potent greenhouse gas. When it is released into the atmosphere, it has a much higher global warming impact than carbon dioxide (CO2). Efforts to address climate change therefore require the industry to reduce both deliberate and unintended methane emissions from the gas value chain, from production to the final consumer. Methane from the flaring and venting of gas (including equipment venting) in our upstream oil and gas operations was the largest contributor to our reported methane emissions in 2018. Methane leaks in the natural gas system reduce the lower-carbon benefits of gas. For example, a small number of leaks that account for a high percentage of methane emissions could significantly reduce the overall environmental benefits of natural gas. Limiting leaks from Shell’s own operations will contribute to our ambition to cut our Net Carbon Footprint. At the same time, preventing or reducing methane leaks makes good commercial sense because methane is the largest component of natural gas – the less that leaks, the more we can sell to market. Infrared cameras can be used to detect methane leaks. Shell has formed an industry coalition, supported by organisations like the Environmental Defense Fund, UN Environment, leading universities and the World Bank, to develop a set of methane guiding principles. In November 2017, eight companies, including Shell, signed up to these principles. In 2018, we succeeded in encouraging a further 10 companies to sign up. The principles focus on ways to reduce emissions throughout the gas industry – from production to the final consumer. The Environmental Defense Fund seeks to create solutions to the most serious environmental problems through science, economics, law and private-sector partnerships. In 2018, Shell also announced a target to keep our own methane emissions intensity, for both oil and gas, below 0.2% by 2025. This target covers all Upstream and Integrated Gas oil and gas facilities for which Shell is the operator. The intensity baseline and target are presented as percentage figures, which represent the estimated amount of methane emissions for Shell’s operated gas and oil assets as a percentage of the amount of the total gas marketed or, for those assets that have no marketed gas, the amount of marketed oil and condensate (e.g. assets that reinject produced gas). The methane emissions include those from fugitives, venting and incomplete combustion, for example in flares and turbines. In 2018, our methane intensity was 0.08% for assets with marketed gas and 0.01% for assets without marketed gas. Shell’s methane emissions intensity in 2018 ranged from below 0.01% to to 0.9%. Our methane emissions are calculated using the best currently available methods: a combination of standard emission factors (established emissions rates per throughput or per piece of equipment), engineering calculations and some actual measurements. There is data uncertainty associated with methane emissions data quantification, and these figures may change based on data reporting. To reduce these uncertainties, our Upstream and Integrated Gas businesses are rolling out methane improvement programmes that focus on further improving data quality and reporting, and on our continued implementation of leak detection and repair programmes (LDAR) and methane abatement opportunities. By 2025, all Shell-operated assets are expected to have implemented more robust quantification methodologies. We have a range of technologies and work practices in place to help find and address unintended – or fugitive – methane emissions in our operations. This includes next-generation technologies like drones. We also implement flaring and venting reduction programmes. We use LDAR programmes, for instance, in Australia, Canada, the Netherlands, Trinidad and Tobago, Tunisia and the USA, and this approach will be extended across Shell globally. We also collaborate with technology developers, civil society groups and academia to test and develop new detection technologies that can provide more accurate and continuous data and enable quicker repair of leaks. 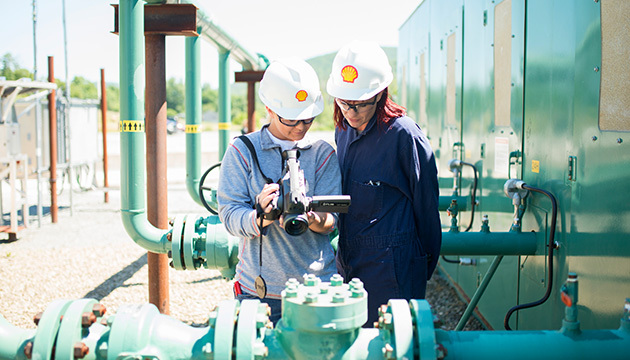 In July 2018, Shell launched a project with Avitas Systems to test drone-based remote inspection of facilities in the Permian Basin. 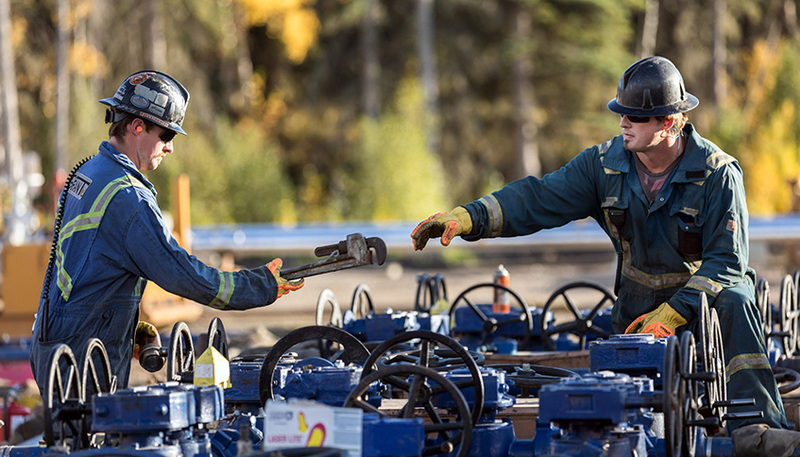 A project team at Shell’s Groundbirch facility (Shell interest 80%), in British Columbia, Canada, has introduced a new design of well pad which includes electric valve actuators instead of pneumatic ones to reduce methane emissions from the well site. The new design is also expected to increase production capacity by 40% and decrease costs by 15%. The first new well-pad came on-stream in January 2018. 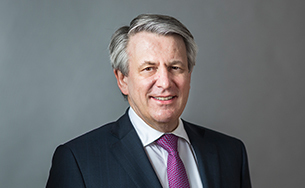 Shell is one of 13 members of the Oil and Gas Climate Initiative (OGCI), a CEO-led initiative to lead the industry’s response to climate change. 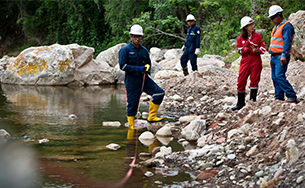 One of OGCI’s focus areas is methane management. In September 2018, OGCI announced a target to reduce the collective average methane intensity of its members’ aggregated upstream gas and oil operations by one fifth to below 0.25% by 2025, with an ambition to achieve 0.20%, corresponding to a reduction of one-third. OGCI is supporting independent research, for example, with the UN Climate and Clean Air Coalition and the Environment Defense Fund, to better understand and improve measurement of methane emissions in different regions and types of operations around the world. In 2018, OGCI’s investment arm, OGCI Climate Investments, invested in methane leak detection and prevention technologies, including GHGSat, which uses satellites to provide accurate, low-cost greenhouse gas monitoring data and services covering any facility in the world. 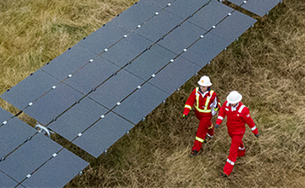 In 2018, our total methane emissions were 92 thousand tonnes compared with 123 thousand tonnes in 2017, in part driven by divestments (for example in Gabon, Iraq Malaysia) in 2017 and 2018 and the exclusion of oil sands mining when operatorship was transferred to another company, Canadian Natural, in 2017. Methane emissions were less than 5% of Shell’s greenhouse gas emissions on a CO2-equivalent basis. More than 60% of our reported methane emissions in 2018 came from flaring and venting in our upstream and midstream operations. We report our methane emissions in accordance with applicable regulations and industry standards. We also engage in industry-wide work on developing more accurate reporting methods, such as through IPIECA, the global oil and gas industry association for environmental and social issues.